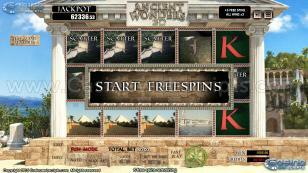 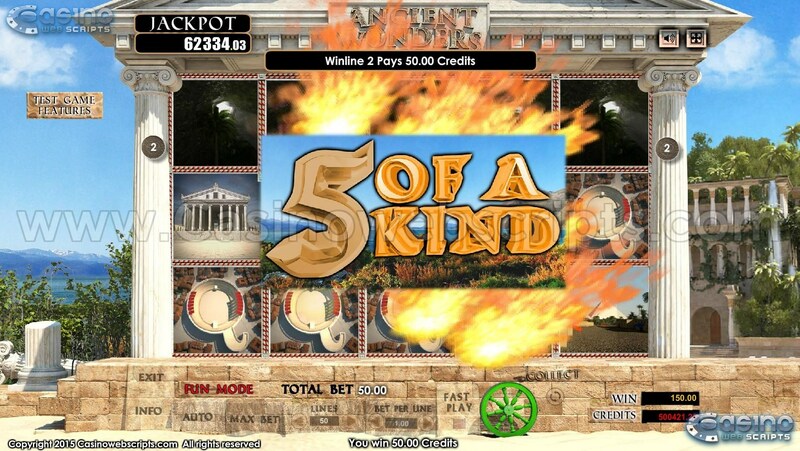 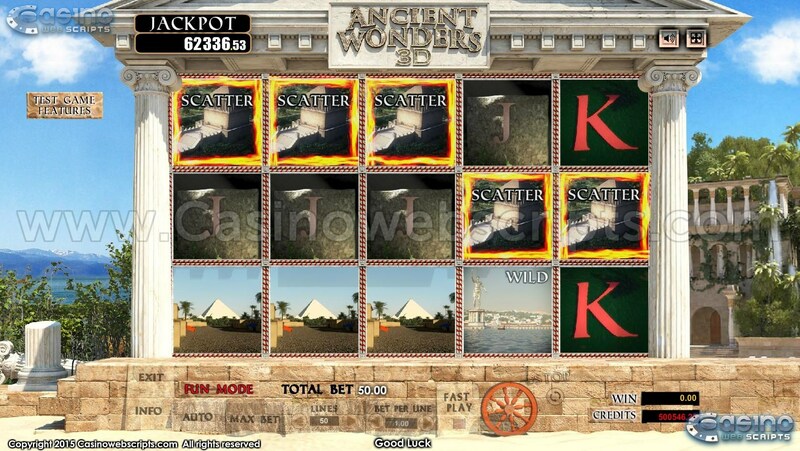 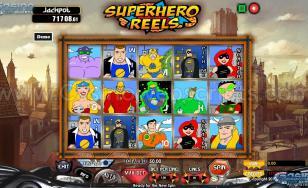 The Jackpot can be won randomly by spinning the reels, during normal play or freespin mode, then SCATTER symbols will appear on all reel stops. 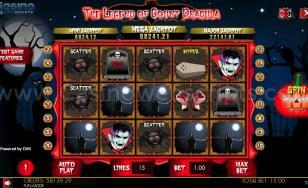 No Freespins will be awarded when the Jackpot will be won. 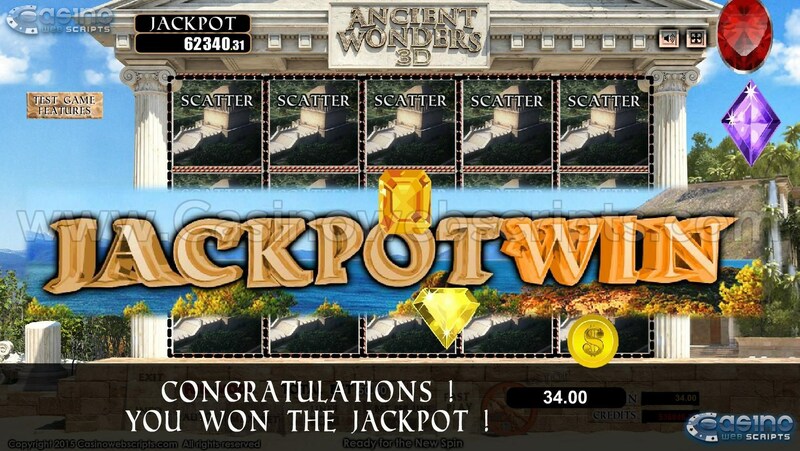 The JACKPOT is equal to 100% of the Jackpot Pool. 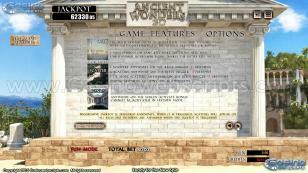 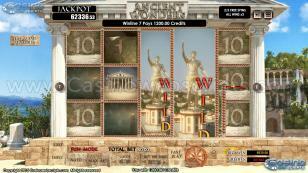 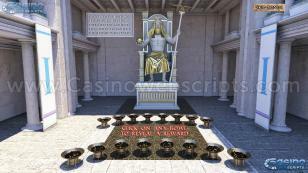 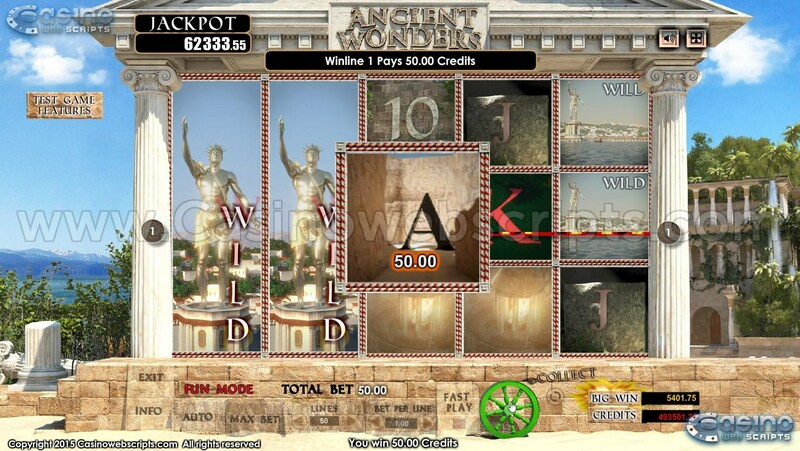 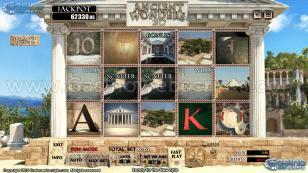 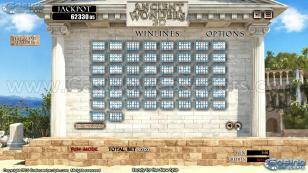 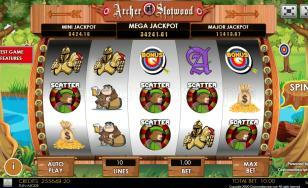 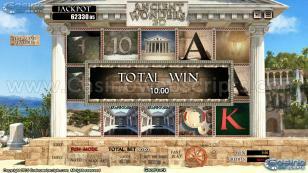 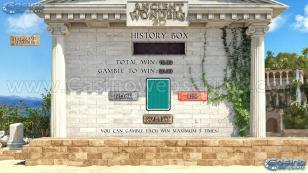 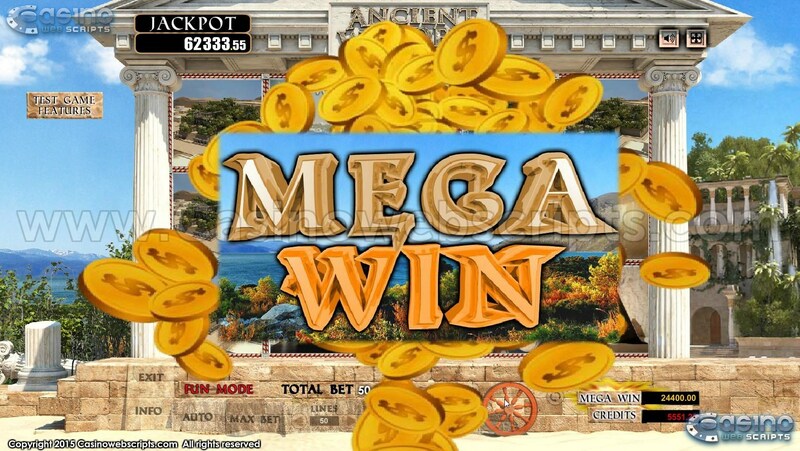 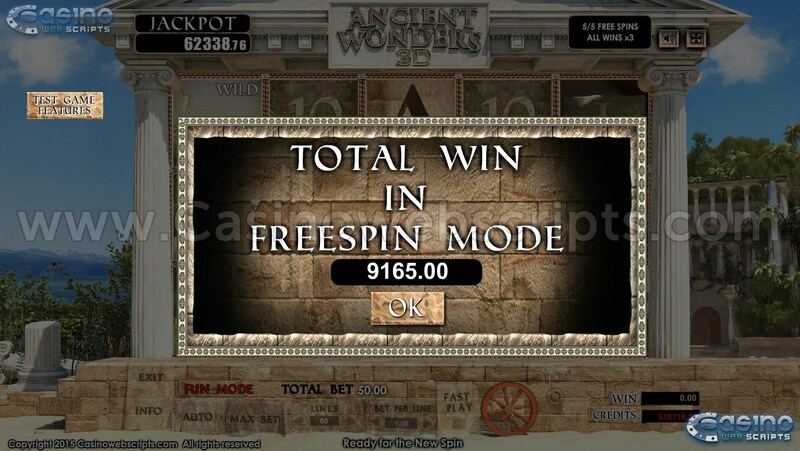 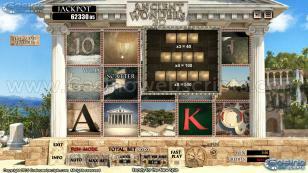 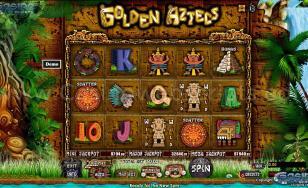 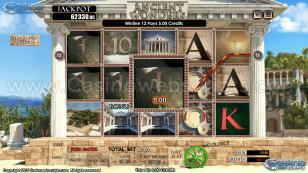 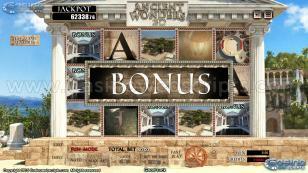 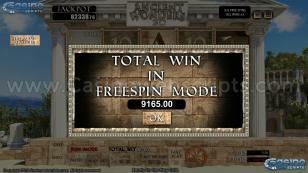 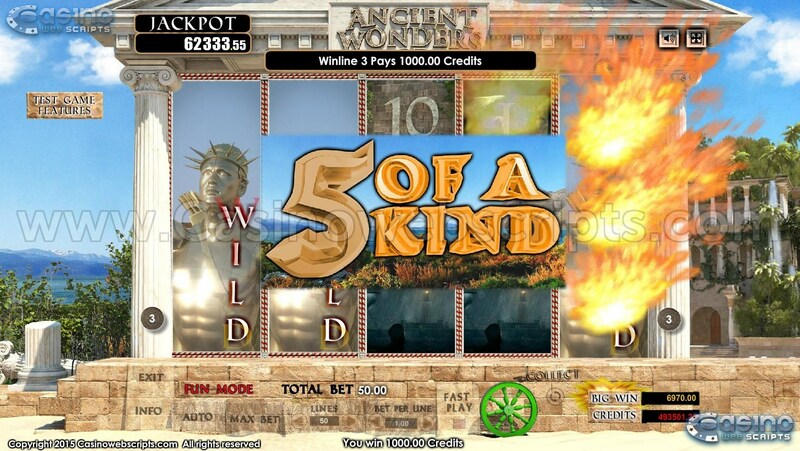 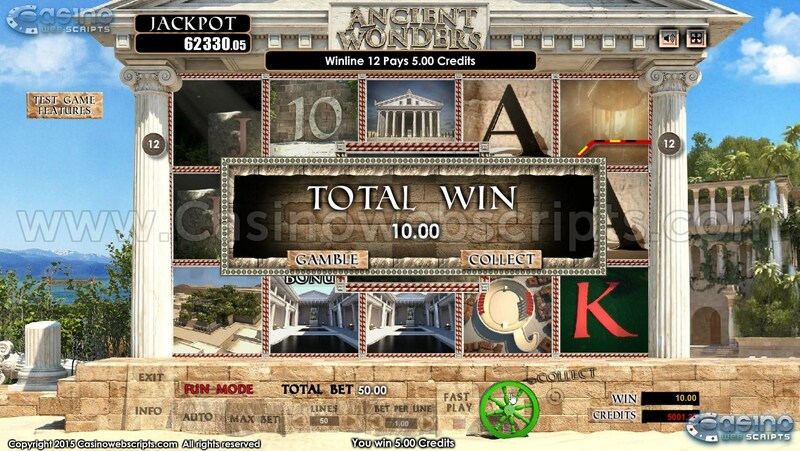 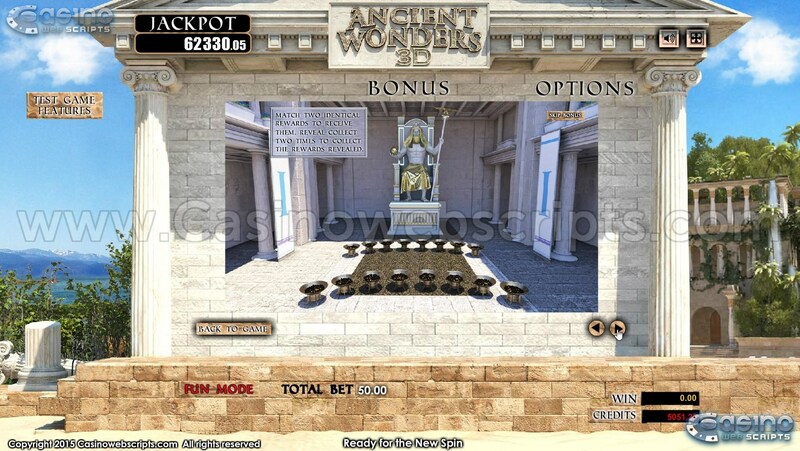 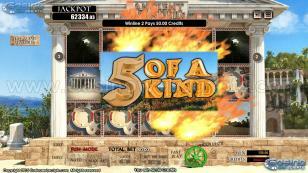 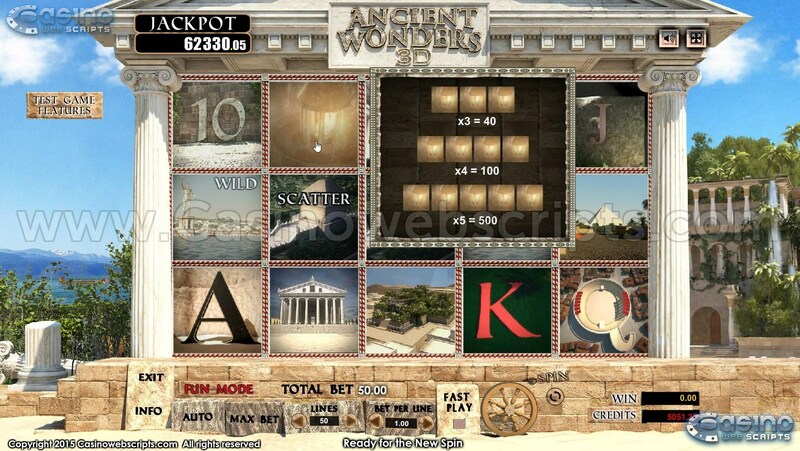 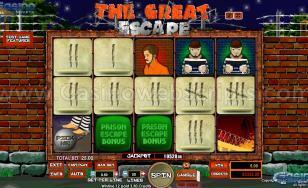 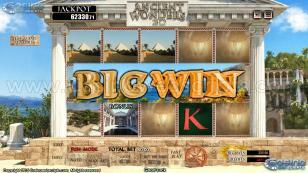 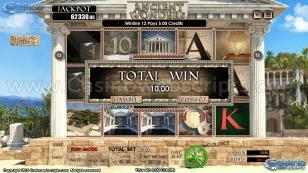 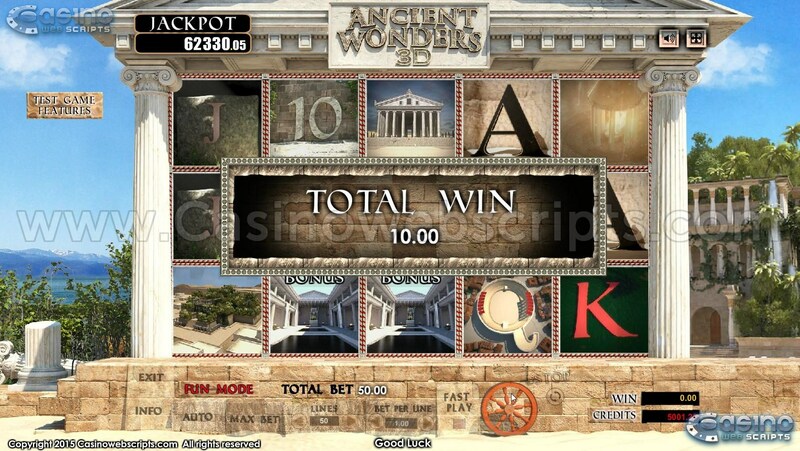 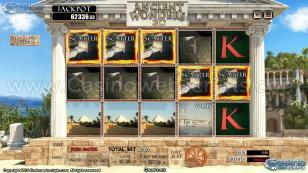 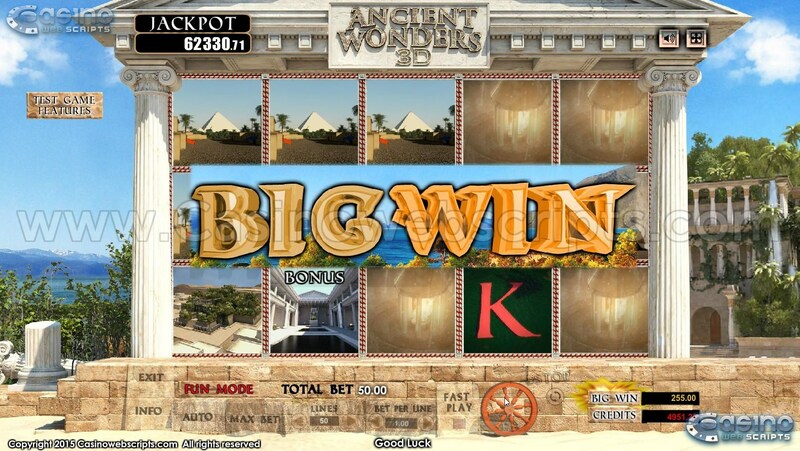 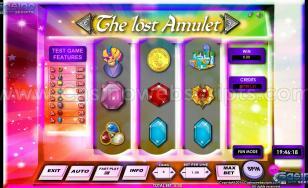 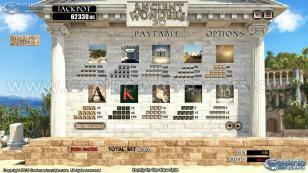 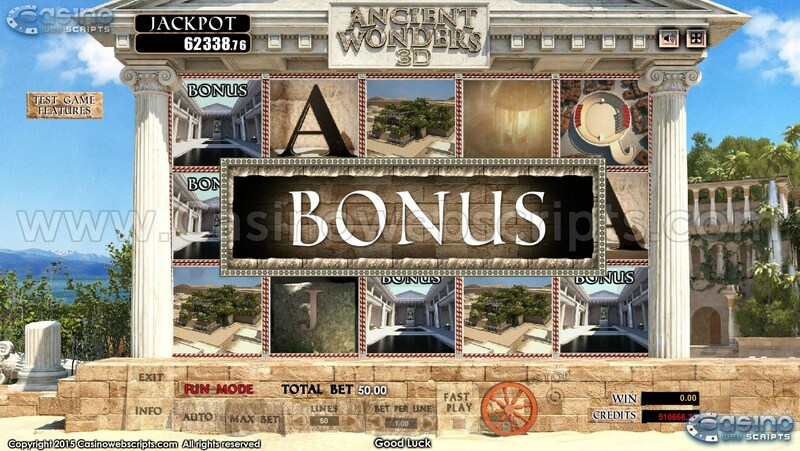 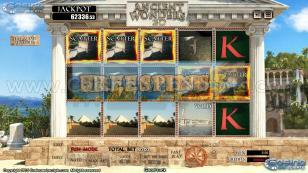 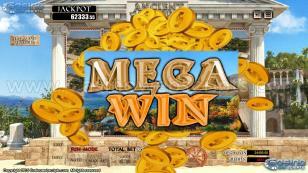 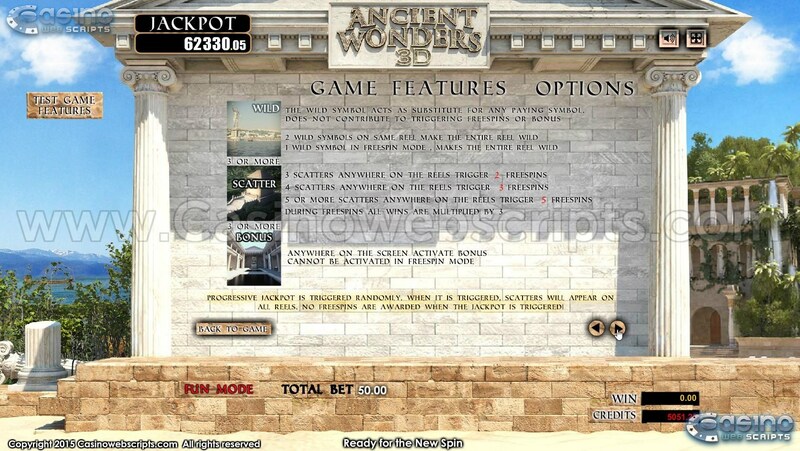 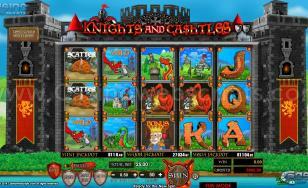 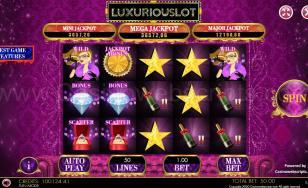 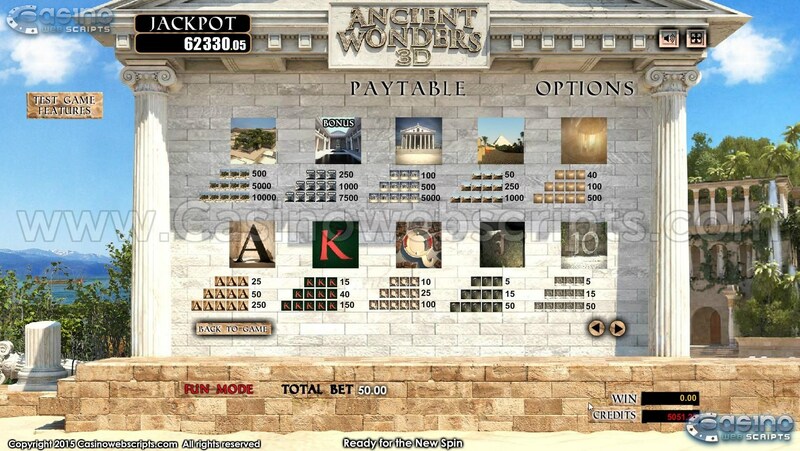 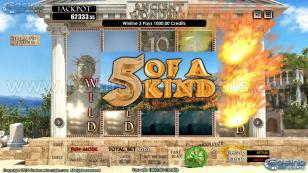 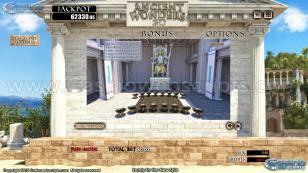 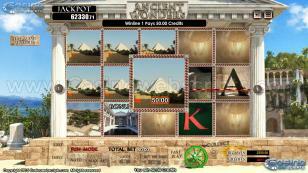 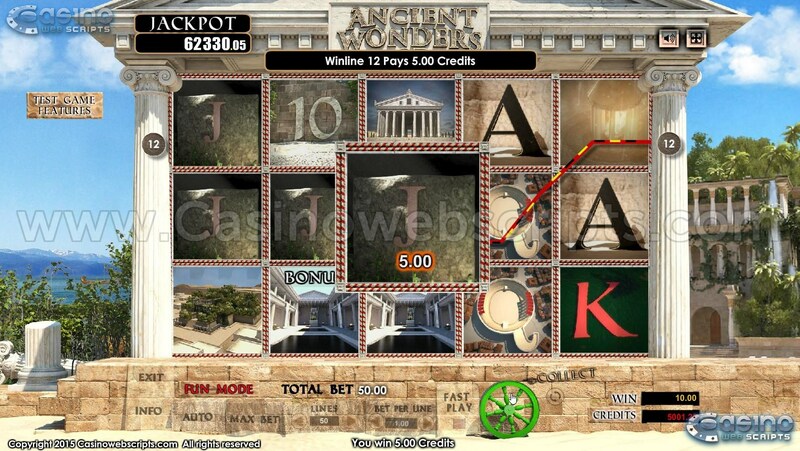 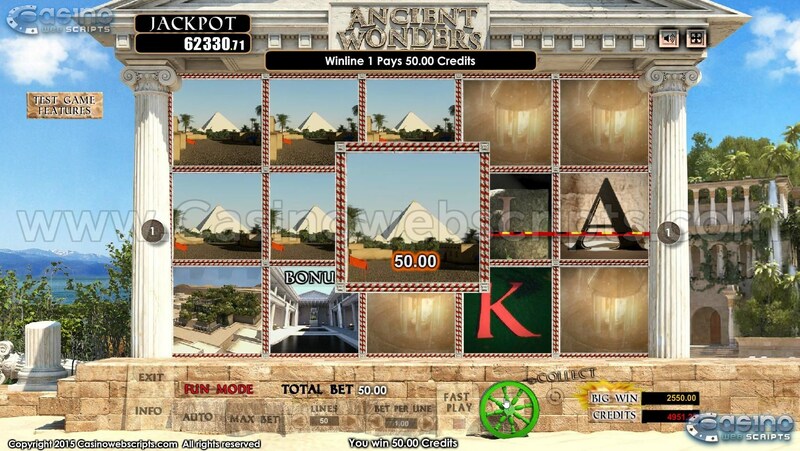 When the jackpot is won, the won amount is deducted from the jackpot pool, and the jackpot values are recalculated. 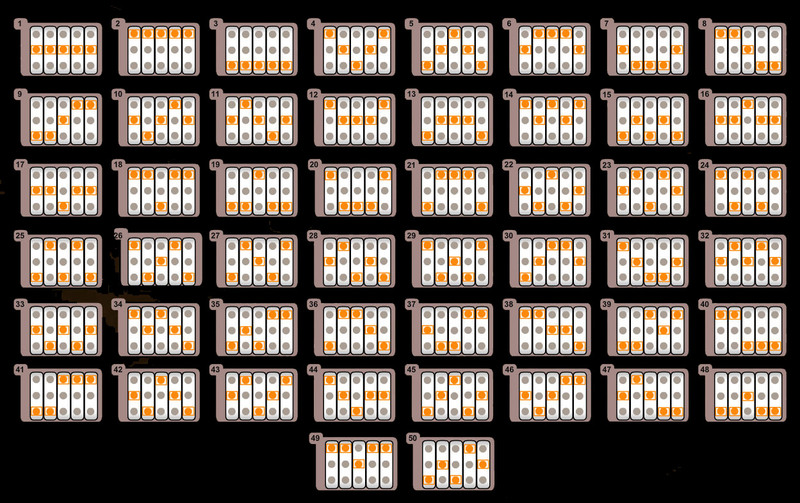 No simultaneous wins of same JACKPOT value are possible.EG: two players cannot win both the JACKPOT worth 500 CREDIT, at the same time. 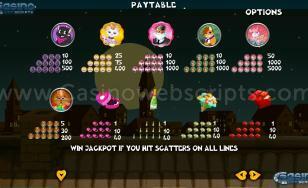 The first player will get a win of 500 CREDIT, and then the JACKPOT is recalculated and the second player gets a different amount. 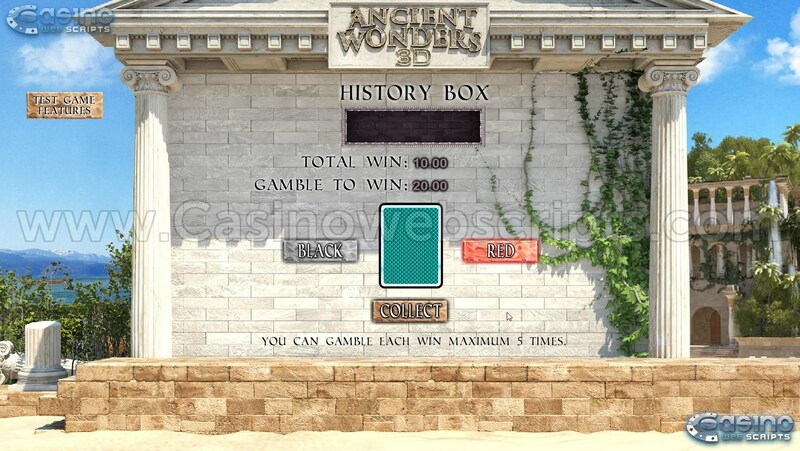 The chances of winning the Progressive Jackpot increase based on the value of your total bet. 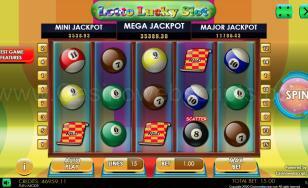 If a player wins the Jackpot, then the pool is reset. 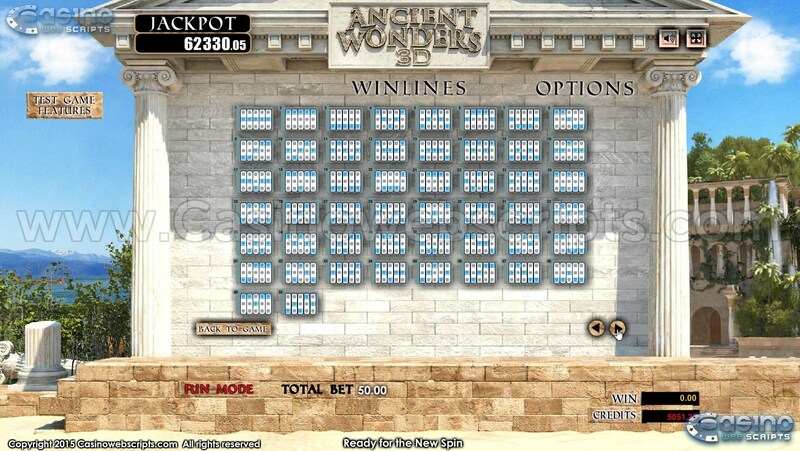 A re-seed pool(not visible) increases by 0.5% from total bet, each time a bet is placed. 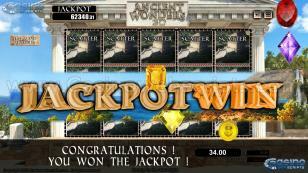 When the Jackpot is won, the re-seed pool is transferred to the jackpot pool, and the re-seed pool becomes 0.